Thank you Beautiful Ladies for doing such a great job!!! Student recital. No Copyright Infringement Intended. For education purposes only. Labels: Joffrey Ballet School, Performance Recaps, Performance Videos, Videos, What's Good! Candice in the News: Cresco Times Plain Dealer! I taught Master Classes in Iowa in July, and had a fabulous time. Big shout out to Sabrina Schmitt and the students of Expressions Dance Studio. Look below… My class was mentioned in the Cresco Times Plain Dealer! Yay!!!! WEST UNION - Expressions Dance Studio students recently took part in three summer master classes with dance professionals at the studio’s West Union location. Sabrina Schmitt, owner, instructor and choreographer at Expressions Dance Studios --which includes a location in Cresco -- welcomed Candice Michelle Franklin of the Joffrey Ballet School in New York City for a contemporary/jazz master class July 16, creative professional Georgia Finnegan Amdahl for poolside and studio classes July 19, and global choreographer and dancer Desmond Walker for a master class in hip-hop, jazz and technique July 28. Schmitt, whose studio in Cresco is beginning its third year this autumn, said the classes were a rewarding experience for both herself and her students. Schmitt said she is looking forward hosting the dance professionals again next summer. The following information was taken from the biographies of each master class instructor, provided by Schmitt to The Cresco Times Plain Dealer. 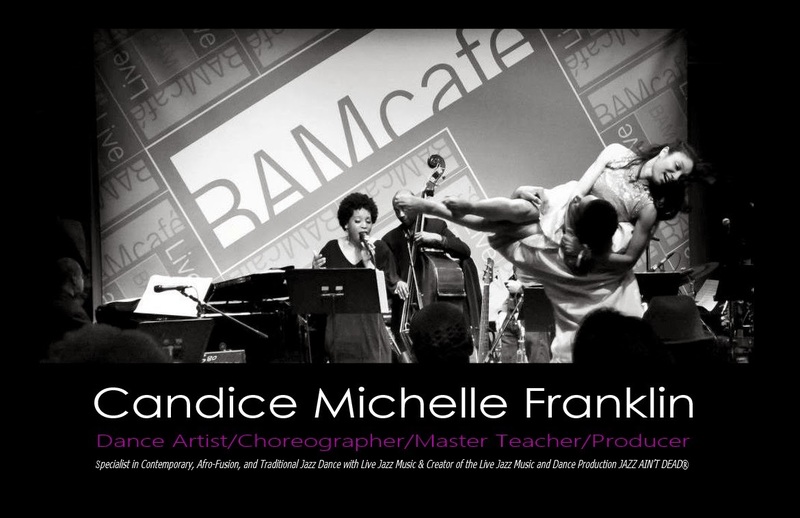 “Candice Michelle Franklin, originally from St. Louis, Mo., is the producer and choreographer of Jazz Ain’t Dead, a fully-staged live music and dance production. 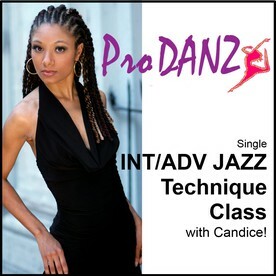 She trained at the Alvin Ailey American Dance Center and received her Bachelor of Arts degree in dance on a four-year scholarship from the University of Kansas. Since her arrival to New York City, she has performed and choreographed for stage, film, television, commercials, and music videos. She has also performed for several concert dance companies such as Avodah Dance Ensemble, Earl Mosley’s Diversity of Dance, Mia Michaels Raw Workshop at Theatre of the Riverside Church, the Underground Dance Project, Phoenix Rising Dance Creations, Nommo Contemporary Dance Theatre, and Vissi Dance Theater, as well as several other commercial dance companies. Moreover, she has performed in several off-Broadway theatre productions as a dancer, such as Derrick Mitchell’s Thin Line, C. Bembry’s, A Mix Nut in New York, and the Westco production Tales of Anansi the Spider. “Current projects for Miss Franklin include choreography for numerous industrials for corporate brands such as Loreal/Redken and Verizon, as well as resorts and casinos for CEG Productions such as the Borgata Hotel, Trump Plaza Hotel Casino, Caesars Atlantic City Casino, Tropicana Casino, Jacob Javitz Convention Center, the Mohegan Sun, the Foxwoods Casino, the Syracuse Oncenter, Odeum Expo Center, Trump Taj Mahal Casino, and Turning Stone Casino. “Miss Franklin has choreographed the live stage shows for such recording artists as Macy Gray, Shakti, and the 80s revue group Buffalo Stance, and music videos for Shakti, BRASCO, and Black Taxi, in which their Shoeshine video was recently nominated for a 2011 Webby Award. In addition, Miss Franklin choreographed the off Broadway production of Billie’s Blues directed by T. Bankole. “Film appearances include Step Up 3D, A New York Thing, as well as reggae artist Matisyahu’s latest music video, One Day(SONY EPIC Records) and the national commercial for the video game DJ Hero, featuring Jay-Z and Eninem. Miss Franklin is a founding board member of iDANZ, Inc., a proud member of SAG, and is represented by DDO Artists Agency. “Ms. Finnegan Amdahl is a creative professional with experience ranging from teaching to fund-raising to nonprofit management. She graduated with a Bachelor of Art degree in education and has taught in various disciplines: Classical ballet, writing, literature, and French. “Ms. Finnegan Amdahl trained primarily at the Andahazy School of Classical Ballet and has been active in the Sacred Dance movement in the Twin Cities since 1979. She was executive director of Saint Paul City Ballet from 1997 to 2012, and took over direction of Saint Paul City Ballet School in 2001. Possessing the qualities of calm determination and tenacity, she was able to simultaneously build the School and spearhead the development of a Sacred Arts ensemble in 2005, the Company in 2008, and a Studio Company in 2009. Currently along with Ms. Murry, she is co-directing Rivers Summer Intensive and Rivers Ensemble. “Ms. Finnegan Amdahl has been active in the business community of Saint Paul, encouraging businesses to support the arts. She was honored in 2005 with the Women Changemaker Award presented by the Twin Cities Business Journal and in 2014 with the Grand Avenue Business Association’s Doc Chopp Award. Currently, Ms. Finnegan Amdahl continues to work in the nonprofit arts sector as Development Officer for Landmark Center in Saint Paul. “Global choreographer and dancer Desmond Walker first began to acknowledge the gift of dance in his life at a very young age. In the art of dance, production and choreography, he has brought strident new movement to dance and cheerleading teams, churches, studios, schools, companies, and national music artists in the southeast parts of Florida and Georgia and even parts of the United States. “Desmond currently works in the entertainment industry and has auditioned dancers, actors and models that have danced for Oprah Winfrey and Lady Gaga. Desmond has been used by the national and international television show So You Think You Can Dance? for the 2014 Season 11 advertisement. He has appeared nationally on the television network BET with national Grammy award-winning recording artist Smokie Norful as a choreographer and dancer (2013). He has appeared nationally on Oprah Winfrey’s Network (OWN) on a show called Lovetown USA as a dance studio owner and dance teacher (2012). Desmond has also received recognition from five-time Grammy award-winning artist Donnie McClurkin, who called him one of the best dancers he had ever seen. “Desmond has learned from the best in the industry, such as Mia Michaels, Marty Kuldleka, Chuck Maldonado, Brooke Lipton, NappyTabs, Victor Rosario and more. In the industry of competition and production, his work and choreography won several awards from High Golds, Title Awards, Platinums, judges’ awards, choreography awards, regional, national and state championships. Desmond has established two businesses: His international choreography company DW Choreography, and his visual and fine arts center in St. Mary’s, Ga., I-Live Center of the Arts, and his own talk show, *The DW4Reel Show*. Expressions Dance Studio is a long-running dance program that was established in Decorah in the fall of 1993. The fall of 2014 notes the studio’s 22nd anniversary. Expressions teaches children and adults of all ages the foundation of dance and then builds performances on top of that experience. Class sessions run for 36 weeks, from late August to late May. Kate Barloon began First Step Studio in New Hampton, Iowa, and then branched off to Decorah and briefly ran a studio in Cresco. In September of 2001, Expressions branched to Fredericksburg and will continue its 14th year in the fall of 2014. A third studio opened in West Union in the fall of 2004, and will continue its 11th year this fall. A fourth location opened in New Hampton in the fall of 2006 and remained open for six years. The location closed in 2012 so the studio could expand to Cresco. Expressions will continue its third year in Cresco in the fall. At Expressions, students will study creative movement, ballet, jazz, tap, pointe, hip-hop, and Acro. Classes in Cresco take place Wednesday afternoons with early school dismissals (Acro) and Thursday nights (creative movement, Dance 1-2, introduction to tap, Dance 3-5, intermediate tap, and hip-hop 1. 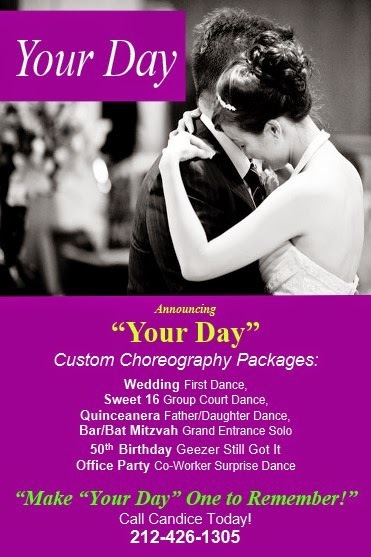 For more information, contact Sabrina Schmitt at 563-380-7303 or by e-mail at: dance_expressions@msn.com. Sabrina Schmitt is the owner, choreographer, and instructor at Expressions Dance Studio. She has extensive background in dance and is currently enrolled in the summer ballet curriculum with Rivers Ballet in Minneapolis, Minn.
Nikki Gamez is an instructor and choreographer, teaching a variety of classes. She studied at Expressions for five years during high school and college. Gamez has background in ballet, jazz, and pointe. She studies with Rivers Ballet as well. Angelia Walvatne is an instructor and choreographer who teaches a variety of classes. She also studies with Rivers Ballet. Copyright © 2014 Cresco Times Send feedback to devans@mediacombb.net. All rights reserved. . This material may not be broadcast, published, rewritten or redistributed without written permission. My summer student posted herself doing my combo on Facebook. She’s 14!!!! Nicole Greene omg mira you look so good! Mira Shuler Aww thanks Nicole !!! Mira Shuler Thank you so much for amazing classes this week Candice !! Candice Michelle Franklin You are amazing! You betta look me up when you turn 21!!!!! You're ready to work! Candice Michelle Franklin Hey, Where's part 2??? Candice Michelle Franklin and the Supremes! Labels: Joffrey Ballet School, Photos, What's Good!